What a smooth plan to kill all enemies across the globe. The dramatic fall of the crude prices killed the Russian Economy and massive sell trigger and massive campaign of a slowdown based economy of China lead to crash of the Chinese economy. These two economies were conspirating against US economy to squeeze its neck. But US is the king of the global economy and it acted judiciously on the same. The biggest benefit of the collapse of Russian and Chinese economy would be US. China have been a home ground for US manufacturing which resulted flight of investments and jobs form US to China. Now with the slowdown of the Chinese economy those investments will be reduced as markets are drying up and hence flight of capital will be in US economy. In all these game plans income inequalities are just widening up for the common people across the globe. It might not be US 100% but to some other countries where US economic think tanks don’t have any immediate threat form that economy. In a recent survey it has been well found that US corporate are struggling to do business and also getting hammered due to intense legal actions of Chinese corporate governance. In between I find that US economy have to increase its interest rates so that money flowing from these emerging and Asian countries needs to parked within the economy and hence US treasuries are going to be the best place to store. Devaluation of currency is going to be great threat and moreover if someone look over the world map hardly any economy will be providing healthy returns over its investments as compared to US treasuries. Further this is the best way to unwind the capital back to home (US). The biggest threat to US economy is the bonds which are being held by the Chinese government. Recently China has sold $106 billion of US treasuries hence increase in rates of interest would save them from massive sell of treasures. Beijing, of course, is the largest foreign holder of U.S. Treasury debt, estimated at close to $1.5 trillion. Part of that is held in custodial accounts in Europe. So, if the regime were to suddenly start dumping that debt, the effect could be cataclysmic for the U.S. economy. With the U.S. government already $17 trillion in debt — not to mention an estimated $100 trillion to $200 trillion in unfunded liabilities — more than a few experts have pointed out that the current situation is not sustainable. Hence hike interest rates and let the devil of massive collapse sleep. The world economy will be okay with the shorter jitters but not with a catastrophic collapse. Chinese stock market correction and its shift from export driven to an internal driven consumption market are two different perspectives. A overvalued market correction was justified but to stop the outflow of capital was an error from the Chinese government. The stock market crash and the media hype followed with a strong verdict of slowdown of Chinese economy seem to be a cold plan. Don’t forget that even a 6.5% GDP growth for china would be high as compared to US and European economy who are struggling hard to get growth. Then why we are all crying since market always follow the herd community and this time the community name is US growth is strong. US might not be in sustainable economic growth journey but to safeguard its debt it needs treasuries to return more hence rate hike theory seems okay. Whether you are a practising cost accountants or service, we need to give advice to our top management about the recent plan of action to be adopted keeping the global economic conditions in mind. This article is just the beginning of the new segment of advisory. As you will keep reading the article you will get to know the meaning of this segment. Those who are thinking that headline inflation would come down and RBI will move ahead for a rate cut well I will request them not to inject false hope within the clients. Inflation is already started going up as food inflation is one the higher side. 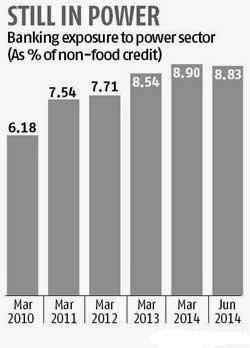 Prices of food items, pulses and vegetables are already on the rising front. International Commodity prices are low but corporate are not having much benefit of the same as production or manufacturing is very slow since export market demand is still very low. Government of India have taken aggressive steps in clearance of orders and pending works etc but it has been very slow and also the returns from the same would take time to come ahead. Further you can expect RBI to keep on lowering rates to bring growth. One needs to understand the macro factors and the growth opportunities hidden within them. Cheap debt will lead to overstretched business expansion plans which would create further problems when another recession hits. Don’t forget that many companies NPA have been due to overstressed expansion plans taken during the 2008 recession thinking it’s an opportunity to expand footprints. Hence advise your clients to get into new markets and new opportunities. Don’t forget that ROI is going to be key metric which will decide the fate of capital structure required for the expansion. A wrong choice of market would create more problems. Further new markets exploration should be taken in a cautious note as too much capital might increase the long term burden which means efficient resource management is required. 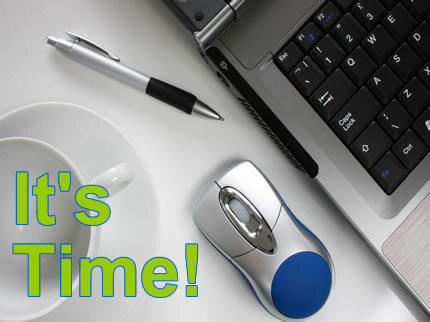 Being a cost accountant you need to keep this process in mind. The most strangest thing in economic history which we are all witnessing is that despite six years of quantitative easing (QE) in most of the world’s major economies, global GDP growth (and oil demand growth) is weak (or ‘below-trend’ as the experts say). Hence companies taking expansion plans in overseas market should keep in mind that we need to explore new markets and not to flock around the traditional overseas markets. This is one of the key areas which we need to keep in mind while advising as consultants to our clients/corporate. China slow down is boon for those who are importers of the same but bad for those who are exporters over there since one will not get a similar traditional growth opportunity as one used to get previously. Over here I find cost accountants can easily re-work on the product mix and sales mix and derive new target costing based pricing of products which would become more competitive in Chinese markets and would also save the company form losing market share. Target costing would be of great help since it reduce the error of landing into unchartered territory. Now let’s get back to some analysis of the affect of Chinese slow down on other economies and if any opportunity for your clients to grow. German economy is very dependent on Chinese markets hence slowdown in china pulls brake on the German economy. Total German exports to China now amount to £100bn, or 6.6% of everything the nation sells abroad. In between Indian corporate can bargain well to get advantage of the slow down for the Germans and can make Total Quality Management to leap in to new heights. This also clears that UK economy will be in more pains hence export market for India would be in problem. This clearly justifies that one needs to explore new markets. I hope my 1st part of Cost Accountants Advisory was up to the mark for your betterment at your work place. Everyone has limitation and that’s what needs to be identified. Basel norms were imposed for better risk management but it failed as major big giants of the US economy went for a wild spin. Only maintaining liquidity levels dose not guide the risk being taken by an industry at the cost of tax payers funds. 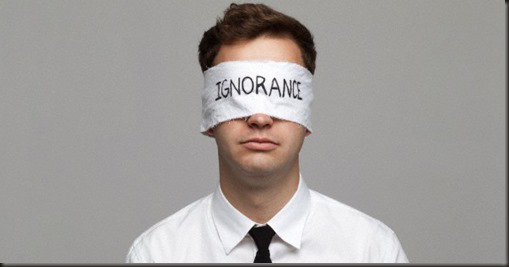 Ignorance of Cost Accountants is going to be a high cost for the society in the long term. We are unable to block the leakage and also we are unable to bring efficiency in resource management. If we were efficient in resource management then we should not be having NPA as such high levels. In continuation to my previous two articles its being found that concurrent audit and all other regular checks up of the banking industry has failed to stop the PSU banks from crossing the threshold of rules and regulation of risk management and they have taken more risk where Government of India has to liquidate them. This article will accentuate that over the long term taxes are going to increases, inflation and cost of production across all segments are going to increase which would result more pressure on the common people across society. Indian might not be low cost of production country. Its vicious cycle created over the years by ignoring cost accountants. Price competition and price escalation will be high in the coming years and India might not be a low cost productive country. Yes the logical reasoning and analytics speaks the same that prices will increase taxes will increase and if these don’t increase then product price to the end user will increase stupendously. Don’t forget that under Basel III norms Indian banking industry needs $37 billion in external capital to meet Basel-III norms by March 2019. Well don’t be shocked. Under Basel III Indian Banks will have to raise Rs 1.5 - Rs2.2 trillion ($26 - $37 billion) in Tier 1 capital externally between FY'15 and full implementation of Basel III in FY' 19. The estimate is equivalent to 42%-61% of public-sector banks' aggregate market cap (as of 12 September 2014), Hence its clearly shows that Indian Banks needs to extensively cautious since they will going through two segment one where they have to fill up their pockets as well run the economy through disbursement of loans. This also means that the Indian banking industry is set for an huge change over in its process, management system and risk measurement policies. Why I am hammering continuously on risk measurement and risk management will get a more clear shape form here. Now to provide this funds taxes and duties will increase. Service tax currently has been hiked. Further the government has to work hard to get the fiscal imbalances to come down. Banks will try to tap the IPO market but overstretched valuations would result lackluster performance. Don’t forget the current disinvestment itself is n headache for the government. Only option left to the government to fill the pockets of Basel III is through high auction prices of coal blocks,4G and 3G brothers and all those resources where government can fetch high prices. This results to a significant increase to the end user who is going to use the services or products. Further cost of acquisition and intensive expensive price would create more burdens on the society at large. Prices would never come down as corporate are already squeezed with interest cost and high debt burdens. Don’t forget that you currently have debt pile up on the bank books which is under NPA and restructuring process further you need a capital to inject into the Basel III norm. Total debt of India’s top 100 companies (except subsidiaries of multinational corporations) stood at Rs.24 lac cr. from 433 companies which are a part of the BSE-500 stock market index by 31 March 2014, this debt had shot up by 8.1 times to Rs 28,43,155 crore Over and above The Non Performing Assets (NPAs) of the banks in the country stood at Rs 3,00,611 crore as on December 2014. Of the total NPAs, Rs 2,62,402 crore belonged to nationalized banks, Rs 38,209 belonged to private sector banks. Over that you have Basel III norms. Form where do you think that Indian government would get funds to inject within the system. This is the prime reason why Indian government wants Make in India and other investments doors to be opened up so that tax revenues and other things starts moving. But it’s too late. Our cost of production is going to increase and debt to equity ratio is going to force the corporate to increase prices. The costs of ignoring cost accountants are going to be vicious cycle for the India economy in the long term. One of the key mistakes which in the process of credit risk management is being that at the pre-disbursement stage, appraisal techniques of bank need to be sharpened. While doing my research I drilled into few key areas where it being found that a major cause for NPA is fixation of unrealistic repayment schedule. Repayment schedule may be fixed taking into account gestation or moratorium period, harvesting season, income generation, surplus available etc. If the repayment schedule is defective both with reference to quantum of installment and period of recovery, assets have a tendency to become NPA. Further those who are thinking that Indian government would manage and Indian banks will manage their NPA well if US interest rate increases and geo-political tension intensifies then benefit of low crude price and flow of investments would dry up. Further export market of India is under slow down and with the ongoing problem of Europe and U.S economy entering into a election year many things will be under severe pressure. Even after the land acquisition bill gets passed don’t expect a Rome to be built in one day. Now a question might come up that will employing cost accountants in credit and risk management and concurrent audit will this current problem will be resolved. Well it will never be resolved but only losses can be limited. Further the cost of ignoring have to be paid and its due for its own course. I don’t find prices coming down. It will move further only just like your current mobile internet cost which has jumped substantially after service tax and tariff rate were hiked.Moreover if their is 2nd time recession then situation for Indian banks and its corporates would be unexplainable. In continuation to my previous article on banking industry I have come across few more thought points where I find that we professionals are quite unaware about the approach mechanism and the areas which we should study to become competitive for the industry. We are ignored for several decades and for the past several years tax payers funds are being utilised to re-capitalise the banks. The ignorance of taking cost accountants are hitting the nation and today in this current global economic situations we cant afford to take the same. This article might be an eye opener provided we accept the same.Bank audit in India is a post-mortem activity carried by the bank where as no real time treatment is not being executed. Don’t jump to conclusion please read further. I am covering two aspects of risk amendment one in any organization and one for the Banking industry. The article and the analysis clearly show that bank audit is not risk amendment neither risk measurement. I might offend many of my friend s but I can’t help. Further I have clearly shown that we cost accountants are expert in risk measurement since risk nothing but cost of taking risk burden and problems arising from the system of not taking risk mesurement. This article is also primarily focusing the young accountants who have qualified over the last 3 to 4 years. Risk management have been a theoretical concepts and the final passed candidates read only that portion of the subject linked with the suggested answer provided by the Institute. I would rather get into the areas of failure and blocking loopholes which will make the subject more attractive for becoming a credit risk analysts and managing the NPA of all the industry and not of bank only. But before the economy gets stopped there are many instances where proper credit policy management and NPA management could be implemented. We need to understand the key area of the problem and your expertise knowledge in the subject where you can get placed as a credit risk and NPA management segment. When a banking crisis happens it seizes the common man rights to withdraw money and also the economy gets stopped. At the same time a company or an organization also comes to an end since it does not access or understand the risk management. Only due prudent dividend and investment policy decision making based on Debt and equity combined strategic project management would not resolve the problem of risk management. Its important for both the company and also the bank to understand the risk. Now we are cost accountants needs to understand this key area of risk management as we are employed by companies as well as bank. This subject is of great importance now as global economic conditions are rapidly changing and India is focusing aggressively on domestic consumption driven manufacturing as well export and Indian companies are also focusing to buy overseas assets for market and product diversification. Now lets get into the case study of failure of an organization in terms of not having risk and credit analyst in an organization. A company plans to expand its business and hence it invests capital taken from the board of directors. The capital is being invested into new products, new markets and also setting up new product line. The middle management convinces the senior and top level management that competitors are driving their expansion plans and hence we also need to follow the path. Well the 1st seed of failure management is planted. Copying the business strategy of your competitor without knowing the in-depth management policies are the biggest risk. Now your Financial heads took the decision of the strategic managers and developed the WACC model where IPO and Debt were taken into account or only debt taken into account. For the next 2 years the organization shows the shareholders that business is being developed and it’s a growing business hence profitability is not the 1st priority expansion of the business is the first. Bank provides loan either based on the credit profile of parent company or in many cases based on the subsidiary as parent company is backing the same. In most of cases Banks don’t understand the business. They understand the free cash flow from the business and its ROC derived on judicious calculation. Now risk management have been executed. Now a question might come up that what type of risk management needs to be taken into account in these cases. Probability of failure of the business and it affect on the shareholders equity and brand equity. Further the debt component taken based on parent company, if the subsidiary goes for a toll in that case what affect it will have on the same. Opportunity cost is easy to calculate using strategic management but what about the real losses. How much bigger loss can happen if we go ahead with all the projects?. The company needs to find the risk associated with moving ahead with the business plan. This is not cost associated risk but its related to strategic as well as business risk. Credit analyst needs to look into the aftershock affects of the debt burden and the economic risk associated over the credit risk. Well these happened precisely to major companies who left their core business and came into Indian power industry which has the highest NPA in the Indian economy followed with coal blocks. This happened due to improper risk management policies and credit risk management policies. If all the perspective of risk analysis were taken into account then these companies who are struggling with the debt should not have taken death bed. This part was only of company or organizational risk management failure part now lets get into banking system where we need to figure out the risk management failures. When every bank competes with loans disbursement race they come up with potentially high-risk retail products for example, tracker mortgages, 100% mortgages for first-time buyers and restructuring of existing books of loans. Banks loan book expands but neither bank nor the borrowers understand the risk of taking such loans. This gives birth to places where cost accountants can work. Bank management and boards run on the feared that, if they did not yield to the pressure to be as profitable compared to other banks, in particular, they would face loss of long-standing customers, declining bank value, potential takeover and a loss of professional respect. This is the birth place of banking system failure. Banks don’t access risk management properly otherwise power sector and coal block sector would not have become 85% of the Indian banking loan portfolio followed with 75% of the same being NPA. Strategies chosen by Indian banks included concentration on retaining market share, increasing earnings growth and protecting the banks’ franchise. The Silent Observers: External Auditors where Indian banking system gives much focus and least on risk management. The biggest drawback of auditors that they are not working full-time in banks, and despite of having all documentation about the way a bank is moving ahead its reports are not on real time basis where risk management and risk measurement of individual projects are carried out. Audit and auditors are doctors who do post-mortem and not treatment on live patients. Just imagine that the total outstanding credit to the power sector from various banks amounted to Rs 5.83 lakh crore at the end of 2014. This amount was 14.4% higher compared to 2013. Now when the auditors knew that power sector is a big blockage and the auditor demand that their report is a composite report which covers risk management areas then why the loan book of power sector of banks grew by 14.4% in 2914 compared to 2013. This Clear shows that risk management and measurement and credit risk measurement is not Bank audit. Bank audit is complete different subject where as we cost accountants are expert in risk measurement as we measure the cost associated with that risk. The SIDE chart further points out that if bank audit was so much fruitful then why banking industry exposure to the power sector kept on growing despite of knowing the risk factors within the sector. Why did not bank audit and auditors control the industry from getting into the verge of collapse. Despite of knowing the growing problems and risk factors within the industry audit report failed to act as live doctor treating and saving form risk factors.This also points out the loophole in the system where banks are being recapitalised and also no proper risk management and credit analysis and quality analysis is not being taken into account. Hence they research clearly nullifies that risk measurement is not bank audit and also cost accountants in built subjects and professional acumen are best for the risk management. In my next part I will conclude the story since it has become too much lengthy and my readers might have lost the patience. Rs 70000 cr..to go for NPA..Cost Accountants can only save. Management Accounting profession covers wide range of areas among which we are also credit risk analyst also where we know the inherent risk and its management. But does the Indian baking system is ready to accept us. This article is an initiative to raise the eyebrows of the industry heads to save from massive collapse within the economy. It’s an initiative to use cost management profession to improve the quality of banking system through efficient use and implementation of credit risk management and risk management for the banking industry. Banks are in the business of asset management and we cost accountants are trained in the field where cost and risk management is an integral part of the profession. But its unfortunate that Indian banking industry hardly recognizes us. The Banking industry could not come up above the bank audit level. Before I being with the initiative of eye opening I would like to accentuate few key areas where cost accountants can work to control this devil. 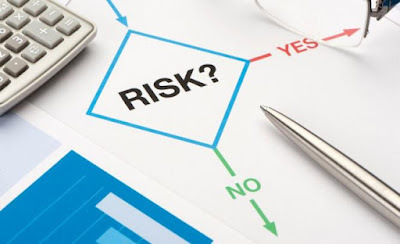 Risk Analysis and Risk Management has got much importance in the Indian Economy after the financial crisis in 2008.Cost accountant’s profession comprises of extensive risk control since cost control is nothing but controlling and measuring the risk of loss. Now coming to the banking industry The management of credit risk hy the profession includes a) Measurement through credit rating/ scoring, b) Quantification through estimate of expected loan losses, c) Pricing on a scientific basis and d) Controlling through effective Loan Review Mechanism and Portfolio Management. I will discuss about these thing later on at the end so that we don’t get diverted from the topic. How much will go to the end user and how much it will benefit the earnings growth of the common man is a trillion dollar question. We get scared when we hear about any foreign bank going for bailout but when it comes to India we are bailout each year. The tax payer’s funds are invested under the disguise of economic growth and hence liquidity of banks is required. One this is clear the top 20% of the wealth holder’s asset and wealth base is bound to grow by another 40000 to 50000 cr. Well that’s why certain powers of the RBI governor and its management are being taken away. I am scared with the recent actions and plans of the government to control the monetary policy. The way the government wants to control monetary policy decision making its seems that if Indian Equity markets needs to kept on a happy mood lower interest rates despite of macro factors going north or south ways. I have told several times that Equity market and Economy are two different things. Kits now well clear those bureaucrats are well inside the game of framing interest rates. I think I better start a company and become rich within the next 5 years as everyone is making money at the cost of tax payers. My plan is simple that I start a company take some good board of directors take loan from banks later on become bankrupt and I raise my hands. The funniest part is that despite of interest rates coming down our EMI are at the same levels and we are still paying more. We are paying taxes we are paying more EMI and we are earning less as our incremental salary is going just by 10 to 12% like FD interest rates. Even if we get bonuses we have to shed higher taxes on that too. Banks are not going to lend to ones who needs capital to grow business but rather it will go to those who are within that 20% segment. Further their will be another round of scam and another round of auction of natural resources or Telecom and hence one fine morning the CAG will come up and will block all deals and all lending would turn out to be NPA. In India it has become mockery that a common man prays for his home loan EMI to come down and the interest rates also comes down but hardly any benefit goes to the prayer. While disbursing loans priority sector and all those fancy words goes for a toll when a slow down happens. Banks get liquidity the same is passed to the 20%, that 20% also raises money from equity market and one fine day the stock price collapse. We need to a process where assets are sold rather than going for restricting of debts. Long back I wrote an article that restructuring of asset base is a killer for the economy as they ruin the tax payer’s money. Banks and Government needs to come out with solution to sell assets and that should be a hard lesson. Silently going for restructuring is like slowly going for a repeating of history of financial crisis in India. But banks are now changing their rules but I doubt that how long they can changes as Indian financial system is mixed with politicians benefit to corporate. We are ready to get NPA form reputed companies but we will never fund a new startup. Why banks have to shed below their capital norms while disbursing loans. Why can’t they maintain a fixed level and become choosy in their products choice. This reveals that banks are not properly having credit score validation and credit rating analysis process and there is significant loop hole which is being used by the industry to pocket the tax payer’s funds. Just check your EMI and see that despite of loan rates coming down how much have been benefited to the 130 cr + population. From where consumption will come if the past experience of taking loan is so horrible. The Indian banking system does not have a concrete system of controlling the Big giants of the market. We lack credit analyst and we lack risk measuring talent. The instruments and tools, through which credit risk management is carried out, are detailed below: a) Exposure Ceilings: Prudential Limit is linked to Capital Funds – say 15% for individual borrower entity, 40% for a group with additional 10% for infrastructure projects undertaken by the group, Threshold limit is fixed at a level lower than Prudential Exposure; Substantial Exposure, which is the sum total of the exposures beyond threshold limit should not exceed 600% to 800% of the Capital Funds of the bank (i.e. six to eight times). c) Risk Rating Model: Set up comprehensive risk scoring system on a six to nine point scale. Clearly define rating thresholds and review the ratings periodically preferably at half yearly intervals. Rating migration is to be mapped to estimate the expected loss. d) Risk based scientific pricing: Link loan pricing to expected loss. High-risk category borrowers are to be priced high. Build historical data on default losses. Allocate capital to absorb the unexpected loss. Adopt the RAROC framework. e) Portfolio Management: The need for credit portfolio management emanates from the necessity to optimize the benefits associated with diversification and to reduce the potential adverse impact of concentration of exposures to a particular borrower, sector or industry. Stipulate quantitative ceiling on aggregate exposure on specific rating categories, distribution of borrowers in various industry, business group and conduct rapid portfolio reviews. f) Loan Review Mechanism : This one of the key metrics. This should be done independent of credit operations. It is also referred as Credit Audit covering review of sanction process, compliance status, review of risk rating, pickup of warning signals and recommendation of corrective action with the objective of improving credit quality. It should target all loans above certain cut-off limit ensuring that at least 30% to 40% of the portfolio is subjected to LRM in a year so as to ensure that all major credit risks embedded in the balance sheet have been tracked. ii) Market Risk Market Risk may be defined as the possibility of loss to bank caused by the changes in the market variables. It is the risk that the value of on-/off-balance sheet positions will be adversely affected by movements in equity and interest rate markets, currency exchange rates and commodity prices. Market risk is the risk to the bank‟s earnings and capital due to changes in the market level of interest rates or prices of securities, foreign exchange and equities, as well as the volatilities, of those prices. But many banks will say that we are already in the same boat of the metrics and we are already having all these things placed in the system. Well half knowledge is bigger killer. We have these thing in place does certain tools are being deployed to figure the analysis process of the tools and its outcomes. This is the key area which is being hardly covered. Only having process written and drafted in papers and only followed for due diligence purpose would not be suffice. This is the area where an expert professional segment needs to come in. Lets figure out the analysis process. GAP Analysis It is an interest rate risk management tool based on the balance sheet which focuses on the potential variability of net-interest income over specific time intervals. In this method a maturity/ re-pricing schedule that distributes interest-sensitive assets, liabilities, and off-balance sheet positions into time bands according to their maturity (if fixed rate) or time remaining to their next re-pricing (if floating rate), is prepared. These schedules are then used to generate indicators of interest-rate sensitivity of both earnings and economic value to changing interest rates. Value at Risk (VaR) It is one of the newer risk management tools. The Value at Risk (VaR) indicates how much a firm can lose or make with a certain probability in a given time horizon. VaR summarizes financial risk inherent in portfolios into a simple number. Though VaR is used to measure market risk in general, it incorporates many other risks like foreign currency, commodities, and equities. Risk Adjusted Rate of Return on Capital (RAROC) This is very key tool to analyze. It gives an economic basis to measure all the relevant risks consistently and gives managers tools to make the efficient decisions regarding risk/return tradeoff in different assets. As economic capital protects financial institutions against unexpected losses, it is vital to allocate capital for various risks that these institutions face Risk Adjusted Rate of Return on Capital (RAROC) analysis shows how much economic capital different products and businesses need and determines the total return on capital of a firm. Though Risk Adjusted Rate of Return can be used to estimate the capital requirements for market, credit and operational risks, it is used as an integrated risk management tool. In conclusion I will only say that we cost accountants/management accountants and their profession have been hardly taken into account by the Banking industry. Rising NPA is going to be nightmare. Only disbursing of loan and getting liquidity form government would not solve the problems of the industry. We need applied cost management and not mere bookish knowledge for the same. Banking industry needs to changes it old primitive process otherwise a global slowdown would eat up the liquidity of the Indian banking industry and whole of the capital deployment would become NPA.